J.F. 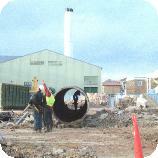 Bishop & Son Ltd are one of the leading specialist demolition contractors working throughout the UK. 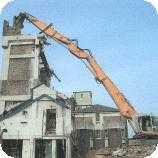 We have completed a variety of high profile complex demolitions in all of the major cities in the UK. J.F. Bishop & Son Ltd are equipped with a modern fleet of plant, haulage to include experienced personnel managed by a highly motivated professional management team. We ensure that all projects are completed in a safety conscious, environmentally friendly manner where we always look to apply a sustainable approach reducing our carbon footprint.